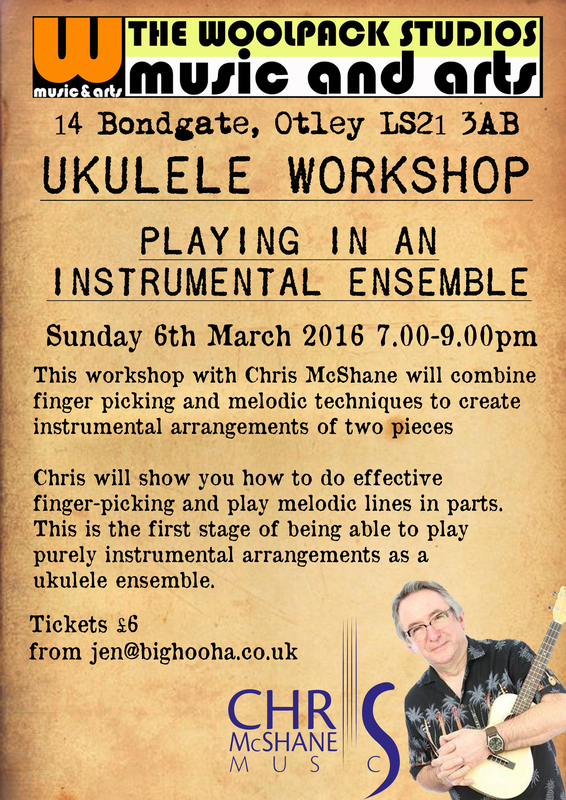 I am pleased to announce that Chris McShane is coming to The Woolpack Studios on Sunday 6th March 7pm to deliver a workshop on playing instrumental ukulele pieces in an ensemble. Chris is a very experienced musician and workshop leader and I am sure this session will be really interesting and be a chance to learn and develop new skills. Places are limited so make sure you book your place now… email me to ensure you get on the list!